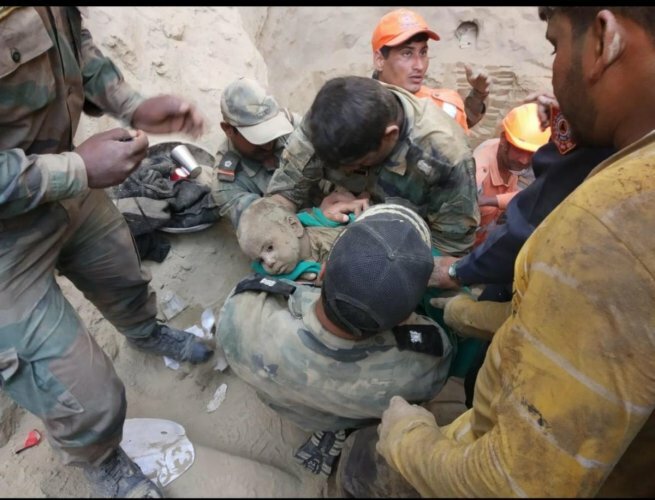 Report: After 48 hours of constant efforts, the 18-month-old infant who fell in a 60-feet borewell has been rescued. 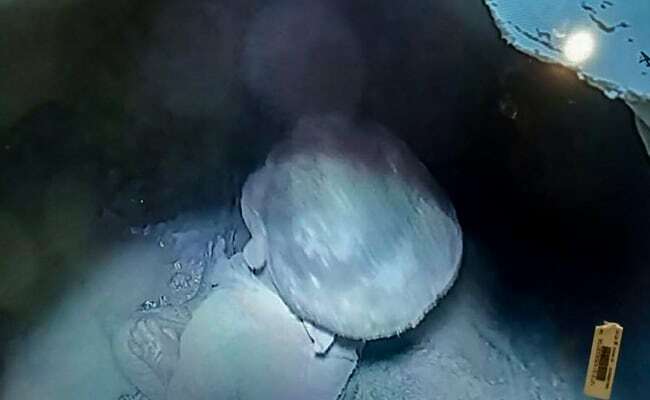 Nadim, the 18-month-old kid fell in the borewell while he was playing with his friends near their house in the village of Balsamand of Hisar District, Haryana. After the Army and the NDRF personnel brought Nadim out from the borewell, the villages raised slogans that said “Bharat Mata Ki Jai”. Rescue operations for Nadim had been going on for 48 straight hours after he fell in the borewell on Wednesday night. No one in the village celebrated Holi, all of them were praying for the safety of Nadim. Rescuers used machines to dig up to the spot where Nadim was trapped in, he was carried out manually to make sure that the soil above him would not fall. Villagers formed a chain to help the rescuers in digging up the soil. Authorities had to dig up a tunnel that made it easier for them to bring the child out safely. The movement of Nadim was monitored by a night-vision camera that was dropped in the 60-feet borewell. 18-month-old Nadim was playing with his friends who were grabbing fruits from a tree nearby when he fell in the 60-feet borewell. The parents and family members were informed about the incident, the villagers called the police. The father of Nadim is a laborer. Drilling Machines, earthmovers, and other machinery were deployed in the area to help rescue Nadim, doctors had to drop oxygen tubes for Nadim. Juices and biscuits were also dropped for Nadim, a medical team was also present in the area. The DCP said that the person who dug the borewell will be facing legal actions as there was no permission for it. The DCP added that they will be finding out how many borewells in the district are left open that could cause more cases like these. Borewells are often called as death traps for kids who do not know what they are, there have been numerous similar incidents in the past that also took 2 or more days to take the kid out safely.